Have you heard of “Review Gate?” There are so many “gates”* these days and now we have our own. 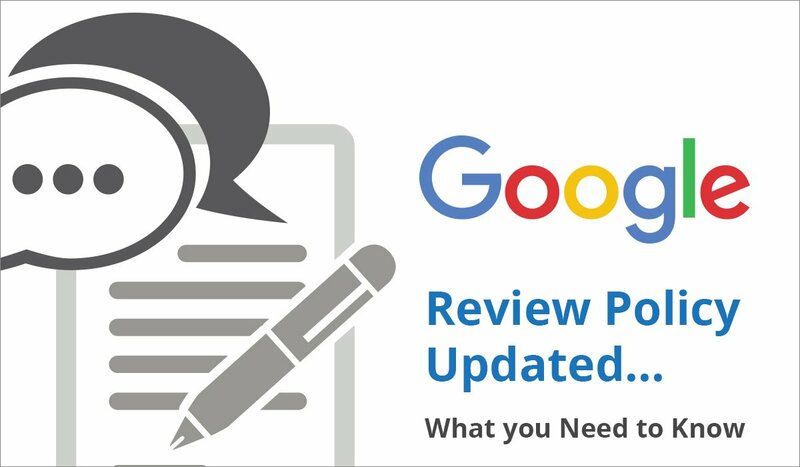 What you need to know: As of a change on April 12, 2018 the practice of review gating, which is common among medical practices, is against Google’s guidelines. And Google’s policy change is quite important to your day-to-day work in the practice. In a ratings and reviews “Hot Topics” panel at ASAPS in 2017, the panel concluded that acquiring Google reviews was the single most important ratings and review activity for any practice. Repeatedly (and perhaps ad nauseum) I’ve objected to the software tools that enable practices to game the system by filtering reviews so that mostly positive reviews end up published on 3rd party sites. It harms consumers and, frankly, harms the practices. The dominant methodology is called “review gating.” Vendors help practices limit negative reviews by prescreening. 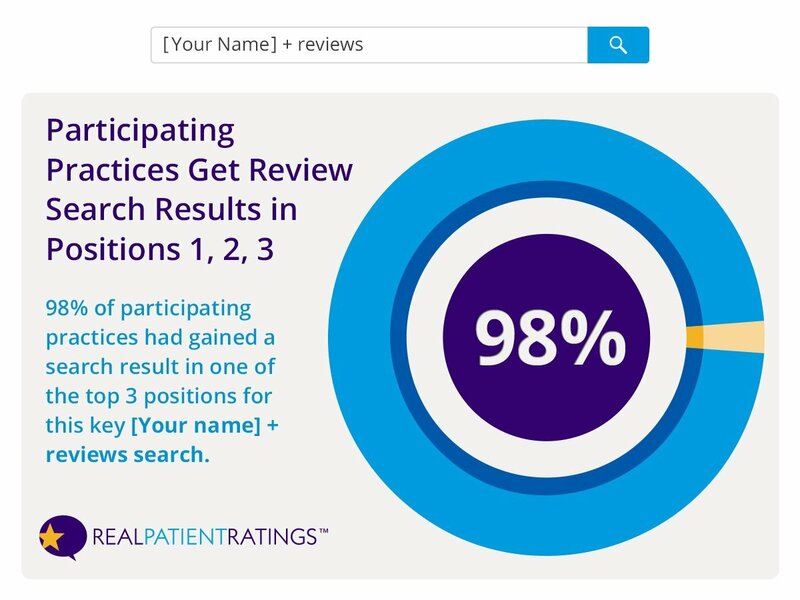 They help happy patients post reviews while disappointed patients are diverted to an internal process that prevents negative reviews from reaching consumer review sites. Consumer review sites thus receive only part of the story and consumers are less able to make informed decisions. 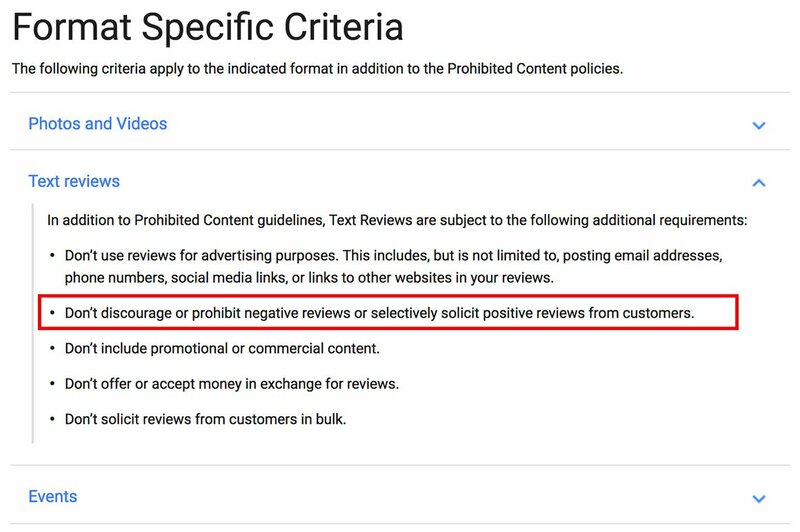 “Don’t discourage or prohibit negative reviews or selectively solicit positive reviews from customers.” Google Content Policies, Text Reviews, updated 4.12.18. Hurrah! It’s about time. It’s counterproductive and unnecessary. 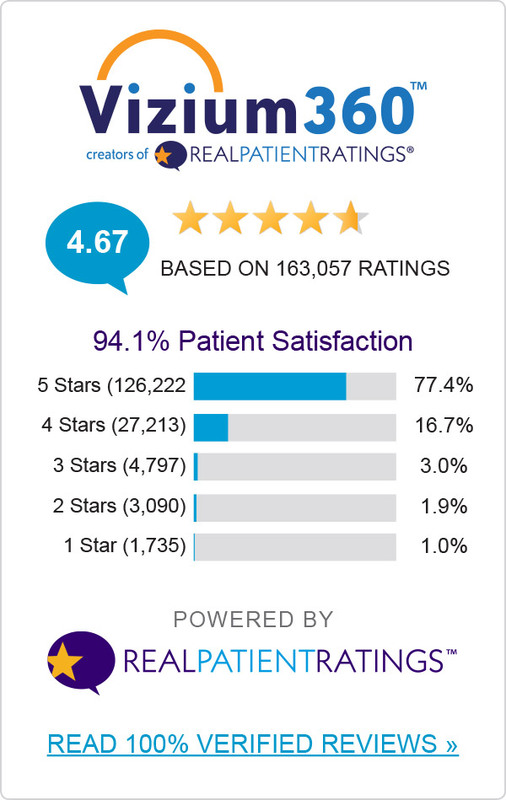 Since founding RealPatientRatings® in 2011, we’ve offered 100% verified, survey-based ratings and reviews proven to produce higher scores and more ratings than other systems. After surveying over 160,000 patients, who have answered over 6M questions about their cosmetic surgery and medspa experience, the truth reassures consumers and validates practice quality. The vast majority of patients (94%) are satisfied or Highly Satisfied. Only 6 percent are represented in the lower 3 categories with less than 1% Highly Dissatisfied. In fact, we learn a lot more from people we’re disappointing than those who are happy. Disappointed patients help you identify weaknesses in service and care systems that, if fixed, increase conversions, retention and referral. Ignoring or hiding negative feedback, practices don’t learn where they’re disappointing their patients and how to proactively make internal changes that prevent negative reviews. Lacking a proactive, all-patient survey approach, they don’t harvest the wonderful feedback from the vast majority of happy patients and use it to market their practice to consumers. Their websites lack the highly-desirable ratings and review content that improves rankings and attracts consumers directly to their website. Google diverts “earned” provider + reviews and practice name + reviews searches to third-party consumer sites that have the content consumers seek. I know you don’t want negative reviews. Who does? But, frankly, consumers value them and use them to trust positive reviews. And Google values this transparency and rewards our customers with high rankings. Practices who are actively building Google reviews are now on notice that review gating comes with the risk of knowingly violating Google’s guidelines. 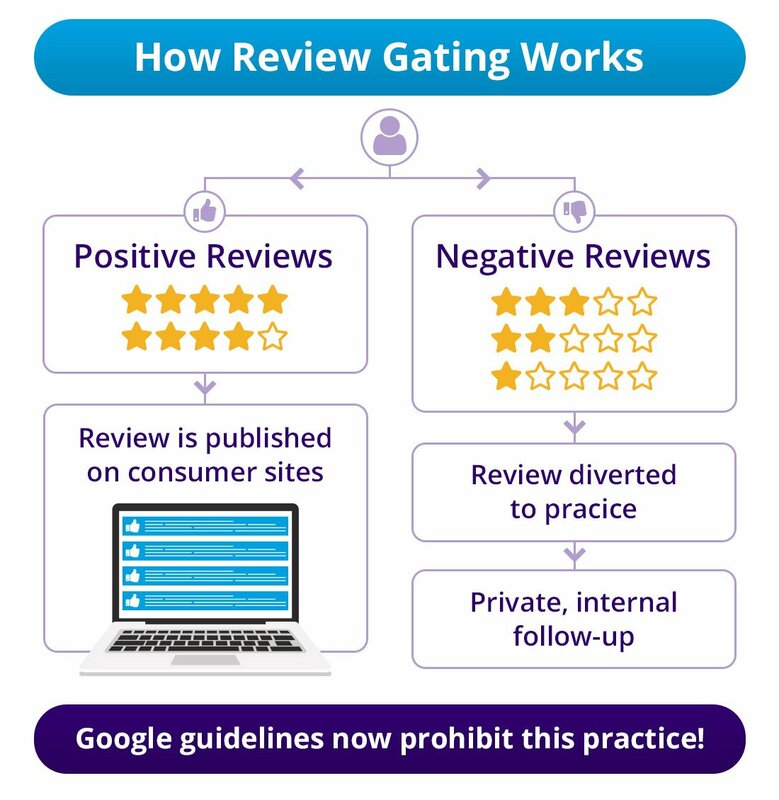 Am I using a service that gates reviews and is thus likely to be violating this new Google policy? How would I be affected in the future if Google deleted a large portion of my published reviews because I violated this policy? Are there other ways to build Google reviews that do not violate Google’s review gating policies? (Yes is the answer, and among your choices, Vizium360, creators of RealPatientRatings, is a good one). *The term “gates” connotes something illegal or inappropriate.